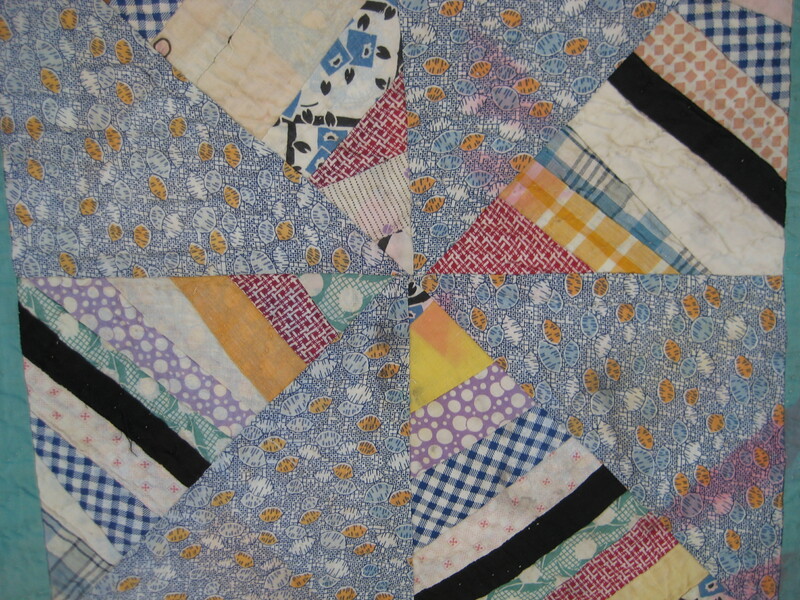 Okay, this is sort of cheating for a blog that’s supposed to be about nature, but I’m an absolute sucker for quilts. 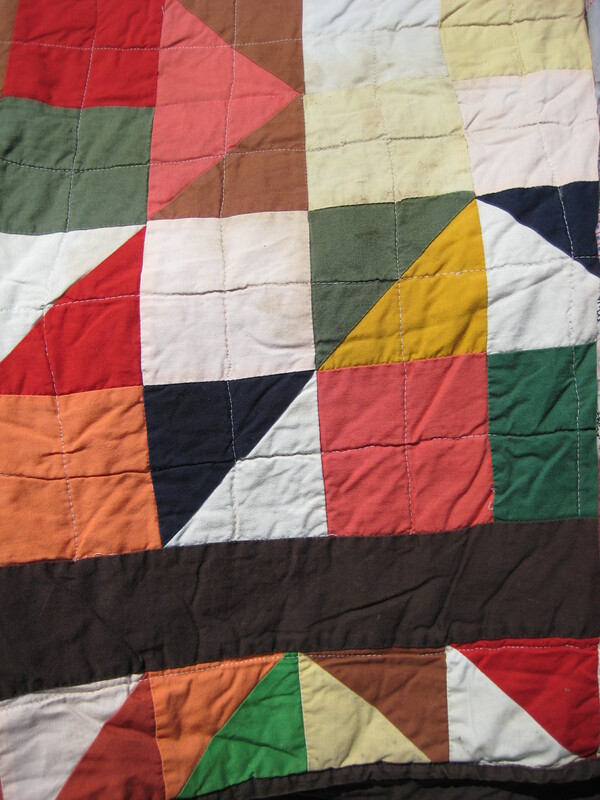 Real old-time, traditional quilts like these ones, I mean, made from honest-to-god scraps. I once met an elderly quilter, who wanted to bang her head against the wall at the very idea of buying brand new fabric and then cutting it up into little tiny pieces and sewing it all back together again…Of course, I do it myself, but it does seem absurd when you think about it. 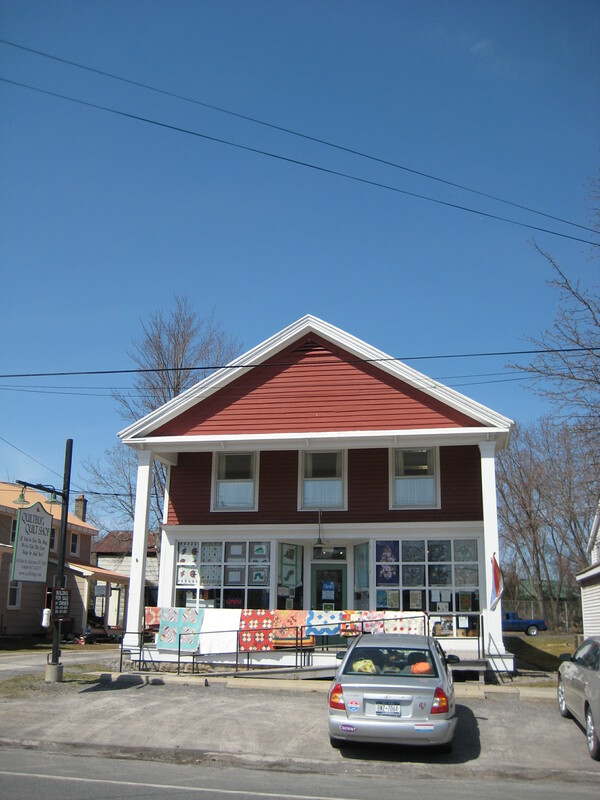 Anyway, the Quilt Bug in Esperance, New York, is a great little shop with gorgeous fabric, for those of us who don’t mind creating our own scraps. These quilts caught my eye like a stop sign, on a drab day when nothing was in bloom. 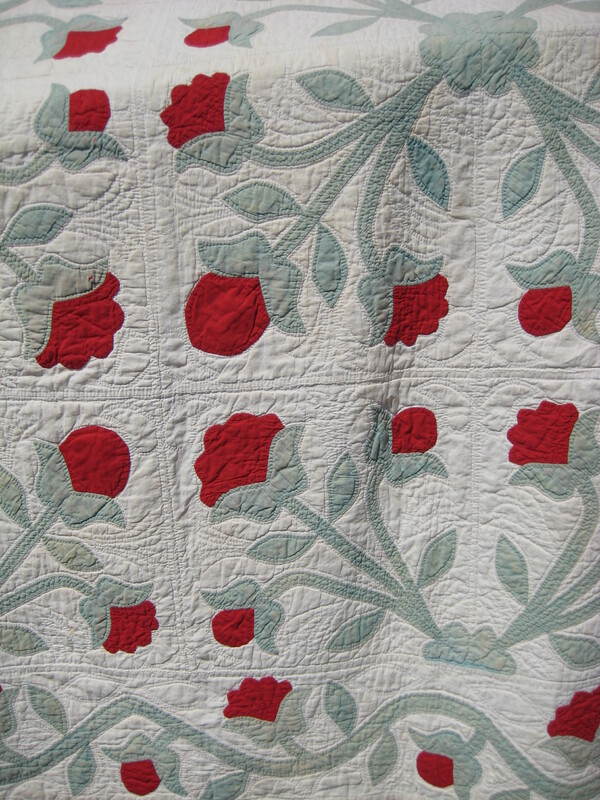 I’m attracted to quilts like bees are to blossoms, possibly for some of same reasons. Bees and other pollinators fly along, looking for something out of the ordinary. They investigate the unusual–the sudden gleam of vivid color against the brown grass. The symmetrical patterns of petals against the random placement of leaves. Bright color and symmetry are two of the clues Nature uses to say “Over here! Something worth checking out!” I was once buzzed by a hungry hummingbird who was firmly convinced my flowered shirt was edible. 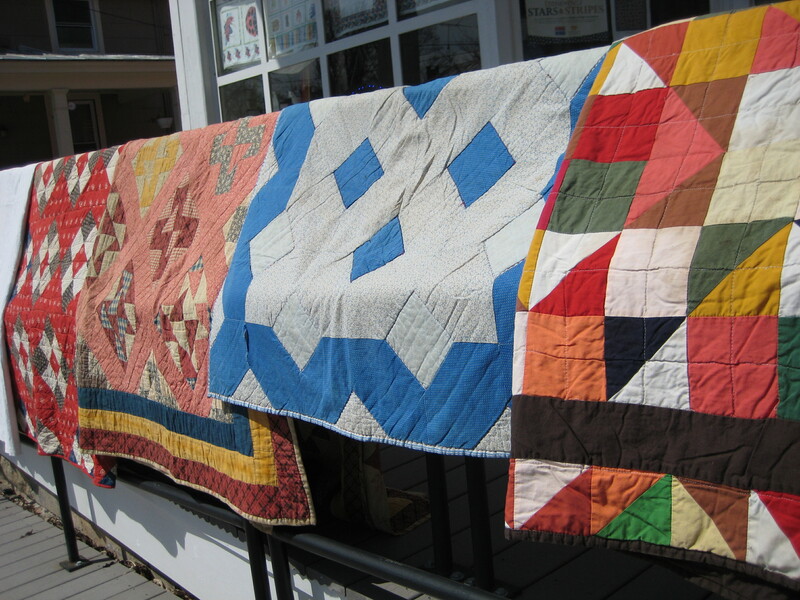 These antique quilts will have to satisfy my thirst for color until the flowers come. The real flowers are on their way, though–notice the dandelion leaves sneaking out from under the curb? Esperance, huh? Gotta look that up. Thx for sharing! Think about pioneer women stitching away in the grey of winter on flowered fabric, possibly remembering that spring dance long ago that was made from that flowered fabric! It’s more than just a fancy – probably life -sustaining for that woman. I didn’t know this place existed – thank you so much – I’m also a sew-er, (sewer?!) and get frustrated with the local chains’ selections – when i run out of old or new scraps. Glad the dandelions are popping up!